After 4 days of partying with the Snow Birds we decide we need to recover on some sandy beaches. 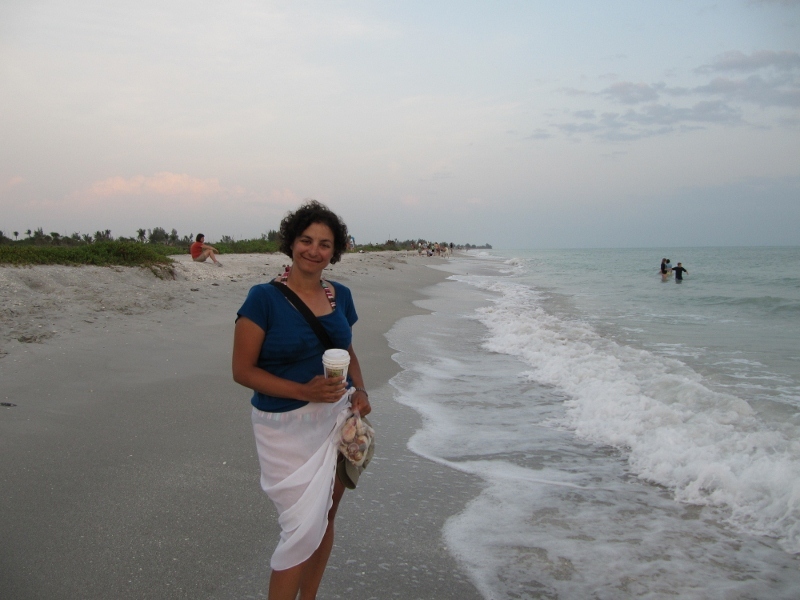 Reviews of Gulf coast beaches talk of gorgeous water, beautiful shells, and pure white sandy beaches and dunes. 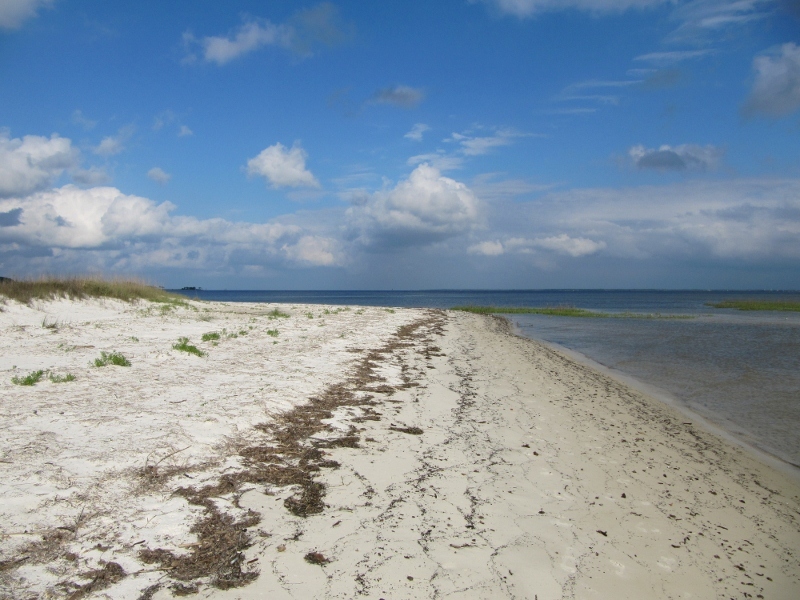 We are now in search of the perfect beach. 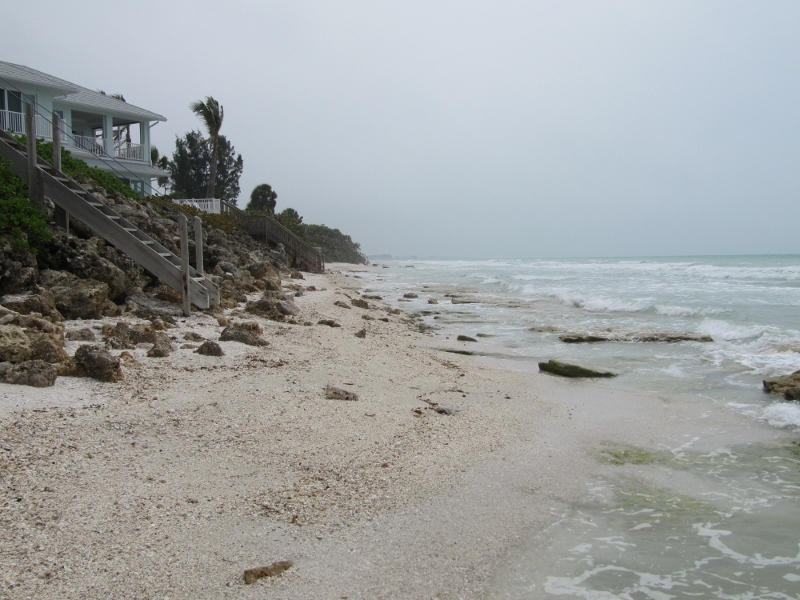 Travelled up the west coast of Florida to find the perfect beach. 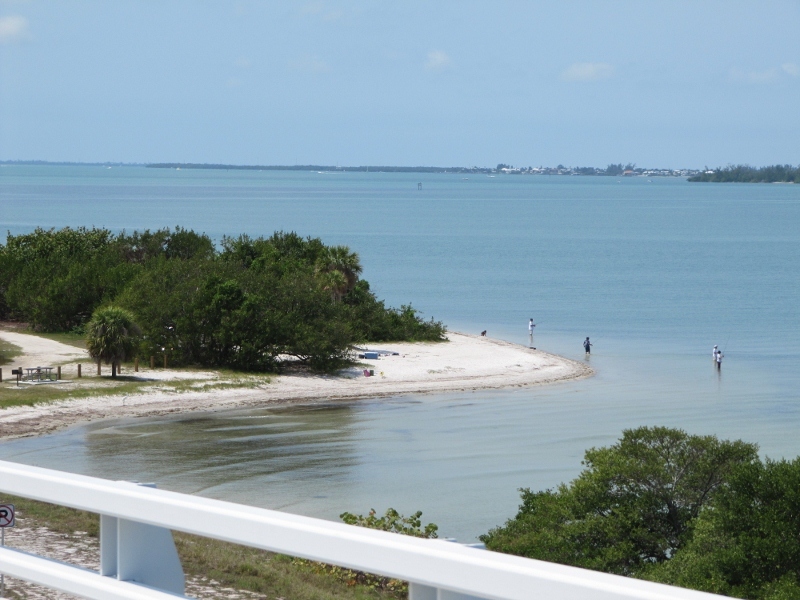 First stop was Sanibel & Captiva Islands. 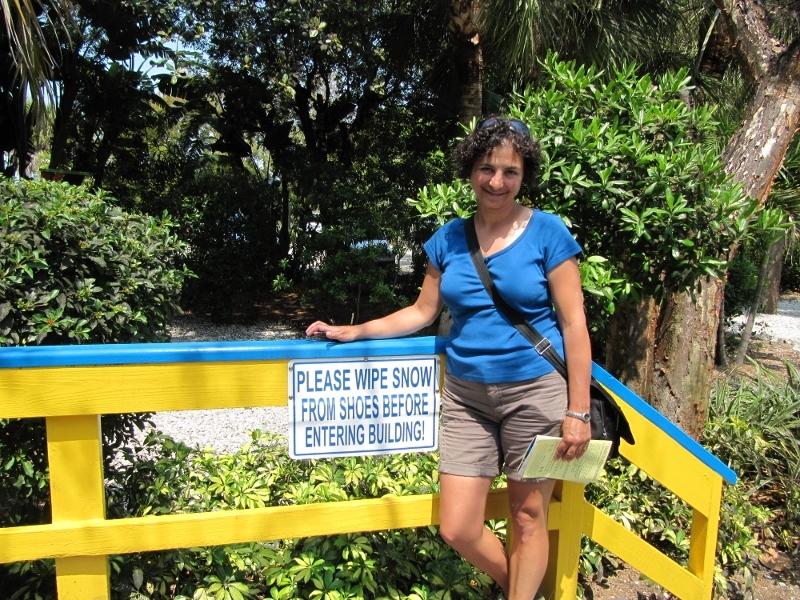 This sign greeted us at the Sanibel Island Visitor Ctr. Can you tell they are used to welcoming Snow Birds? Searched all over both Isalnds for a parking spot. 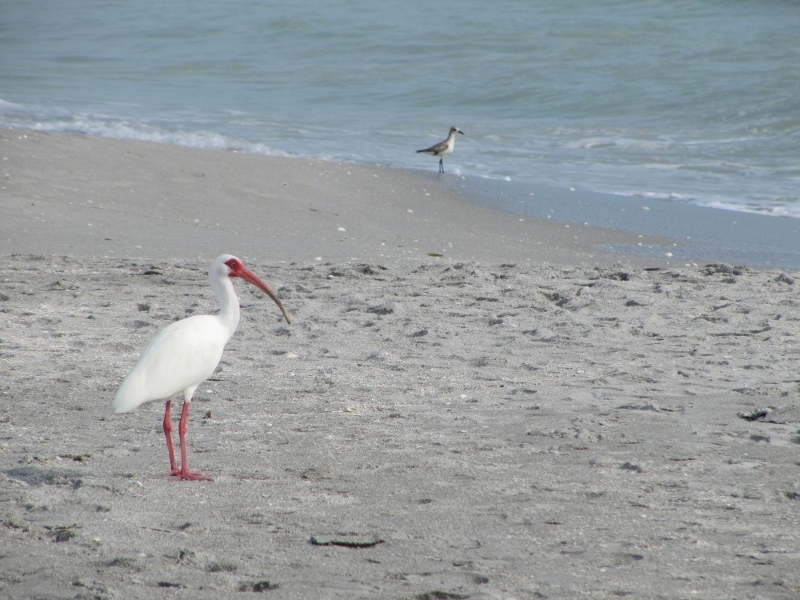 None available on Captiva Island but Sanibel could accomodate Wendy & Chuck at Bowman's Beach. 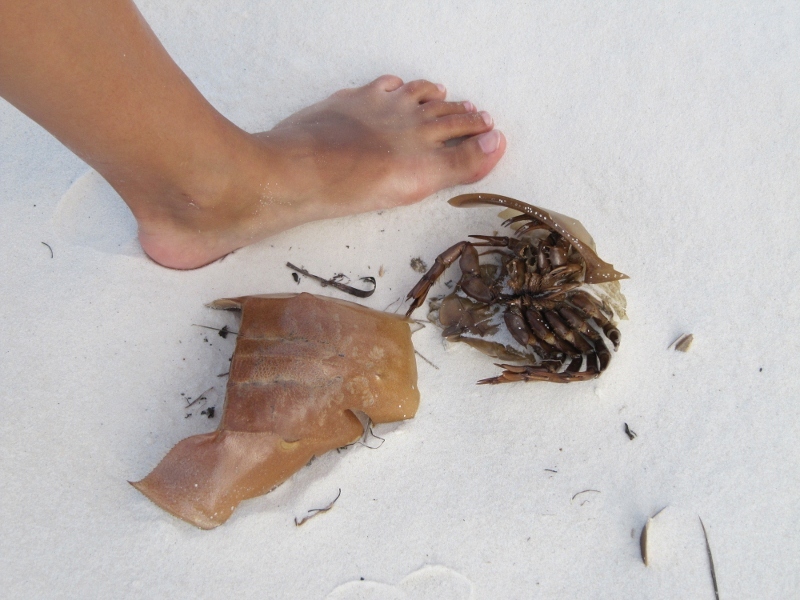 This beach is known for its sugar white sand and beautiful shells. 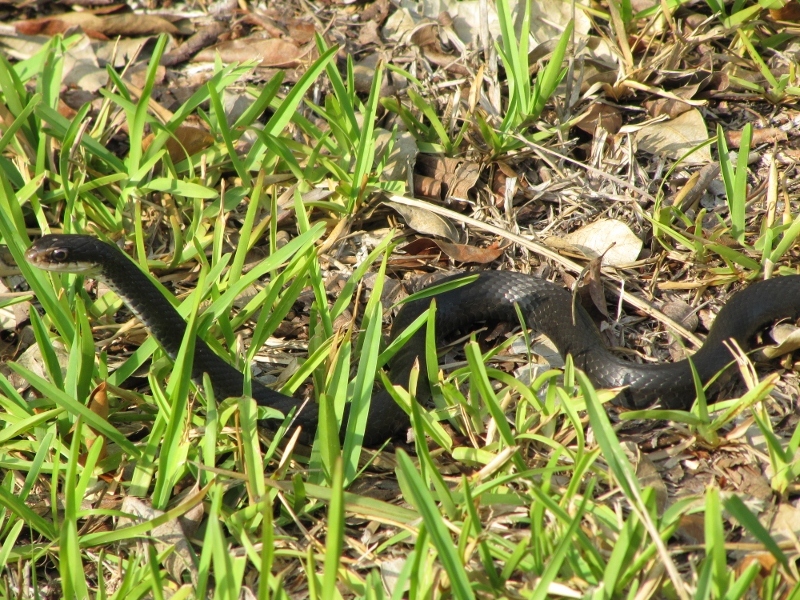 On our way out of Sanibel we found this 4 foot black snake at the side of the foot path. There are many species of snakes in Florida, several are poisonous. 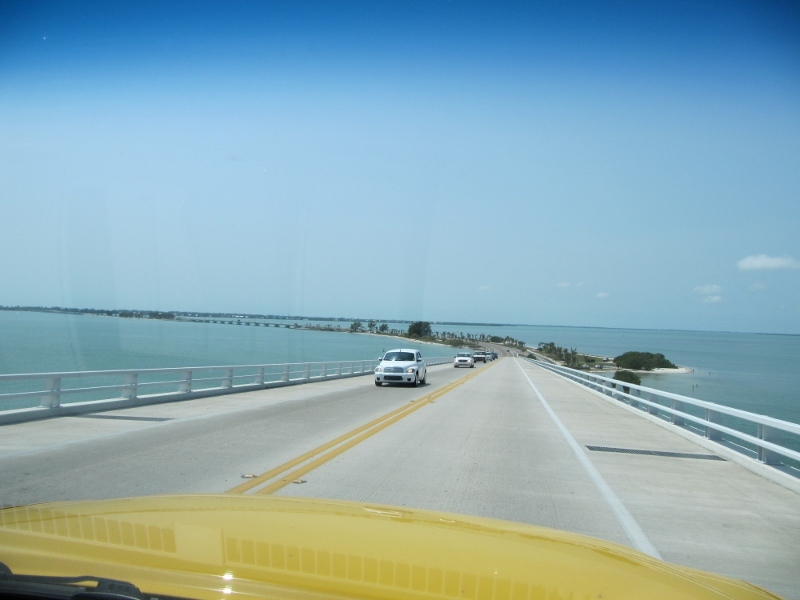 However you are more likely to run into them in the less populated north coast of Florida (the Pan Handle) which is our next stop. This particular snake is not poisonous so no worries! 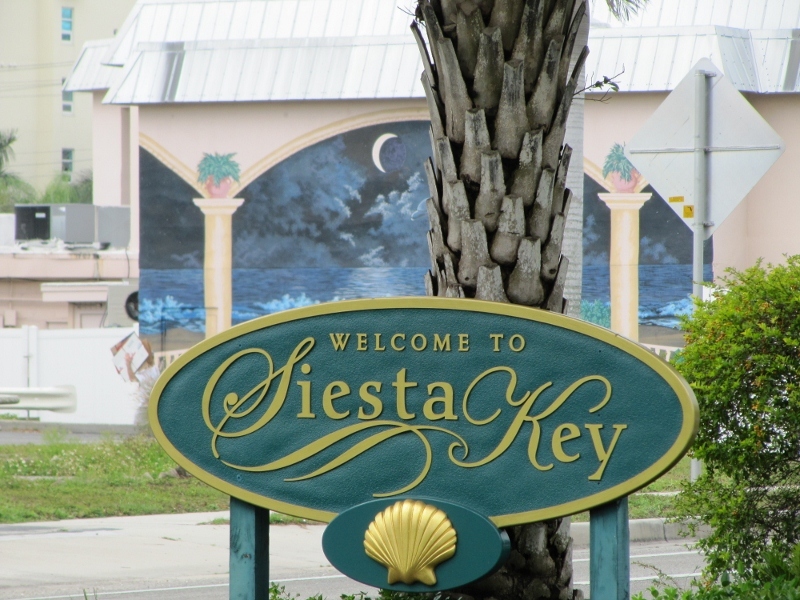 Next up on the beach list is Siesta Key by Sarasota. These beaches all seem to have the similar sugar white sand which is made of 99% quartz. 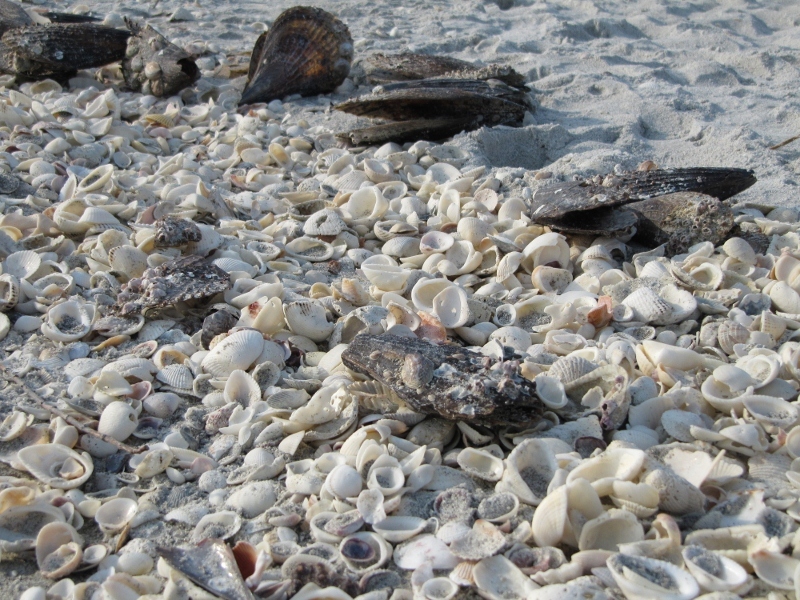 Siesta Key also has a bunch of washed up shells. We find ourselves addicted to what they call "shelling" - the search for the largest perfect shell. 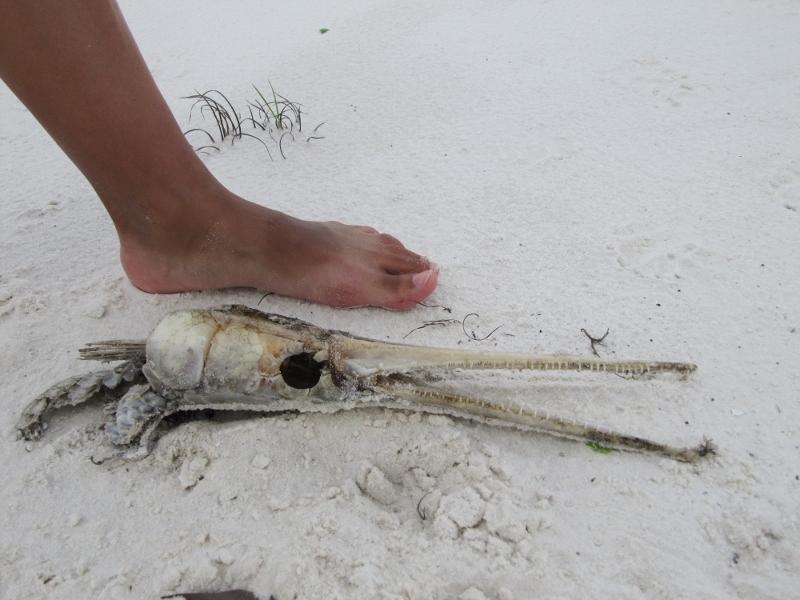 We hear rumors from a few 11 year old "shellers" that there are shell riches just around a sea wall. So we scale the wall with waves crashing over them and finally turn the corner and find the mother lode! Paydirt! 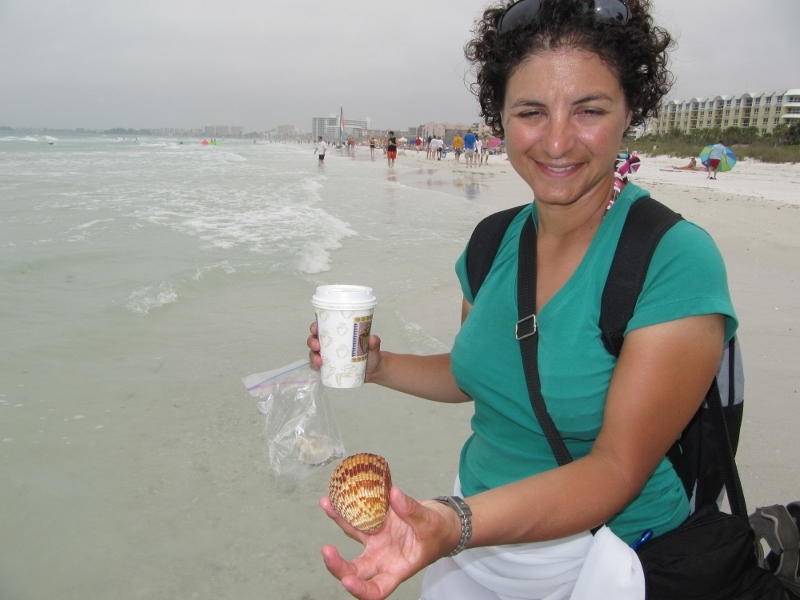 Marianna finds the biggest whole shell yet. As we go north palm trees give way to pine and decidoius trees. 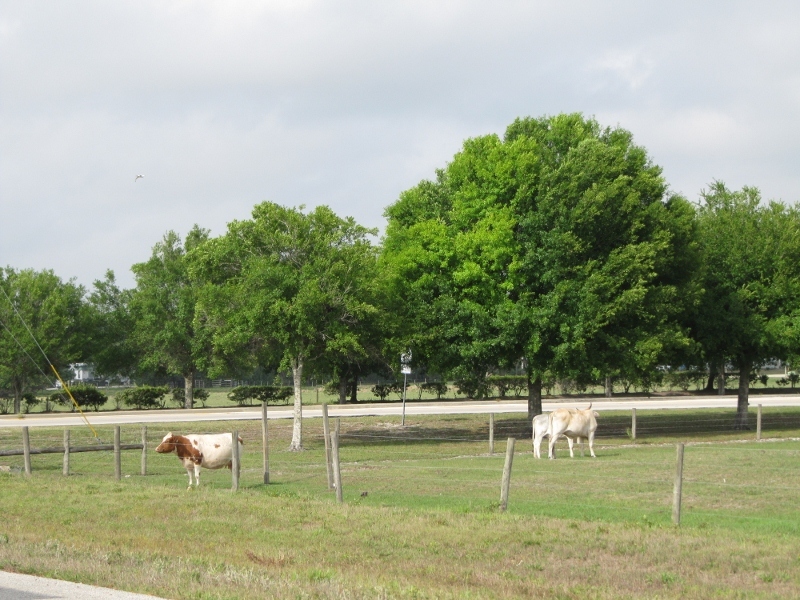 We also see a bunch of cattle ranches. Who knew cattle ranches could be found here? 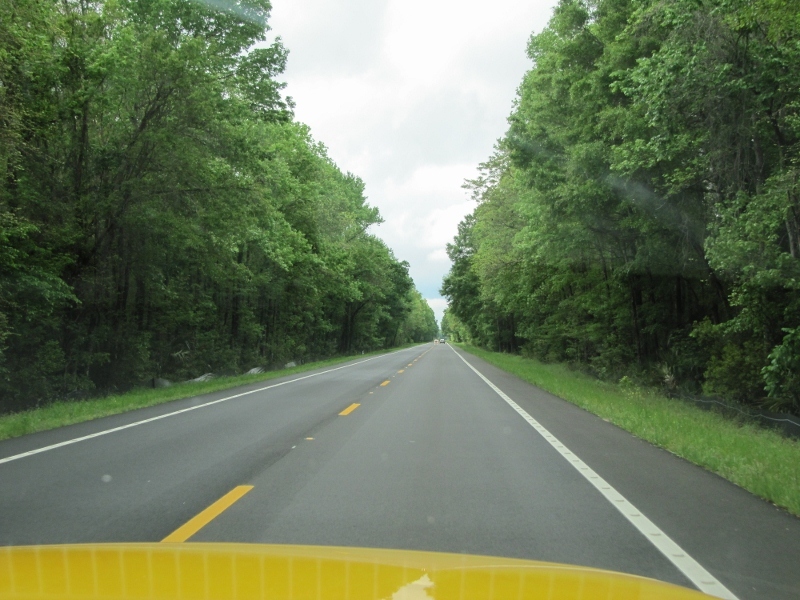 We heard an expression - "As you go north in Florida you get more south". 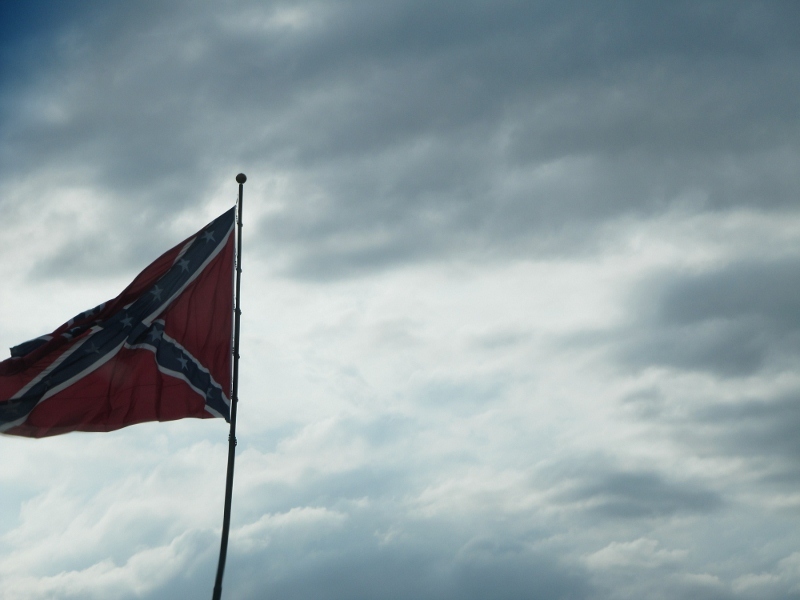 This is evident in this picture we snapped as we drove through. Their accents even start to match that of the deep south. As we travel along the pan handle's bend the hordes of people melt away. 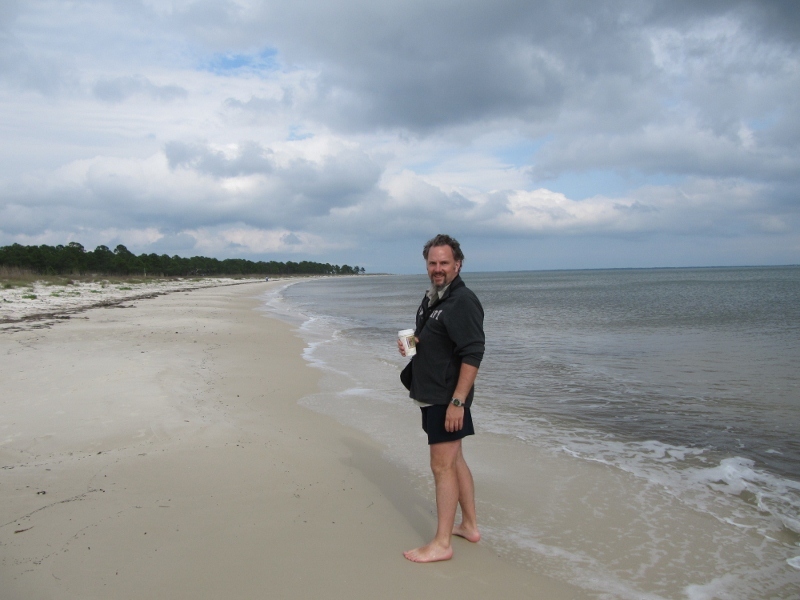 We found this beach at a rest stop by the road - mostly deserted and running for miles. Jason enjoys a coffee on the beach. 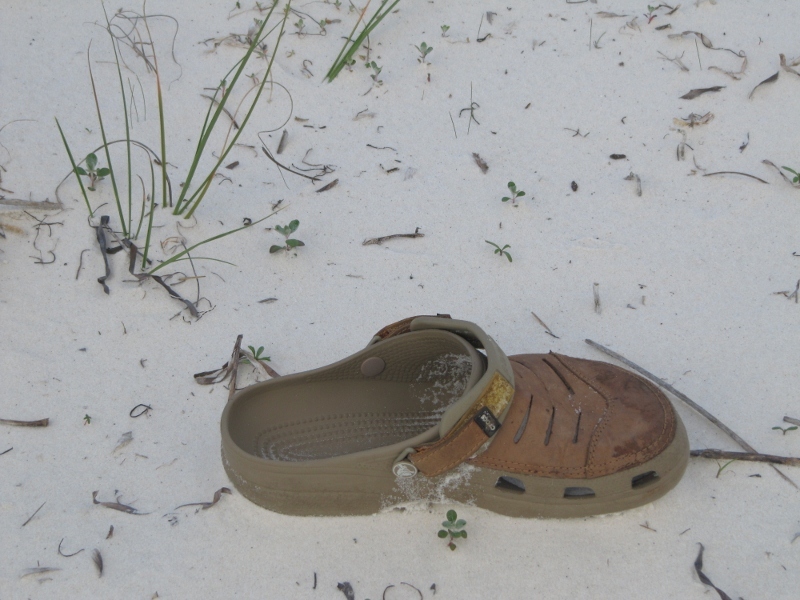 Since this beach is more natural we find some strange stuff. 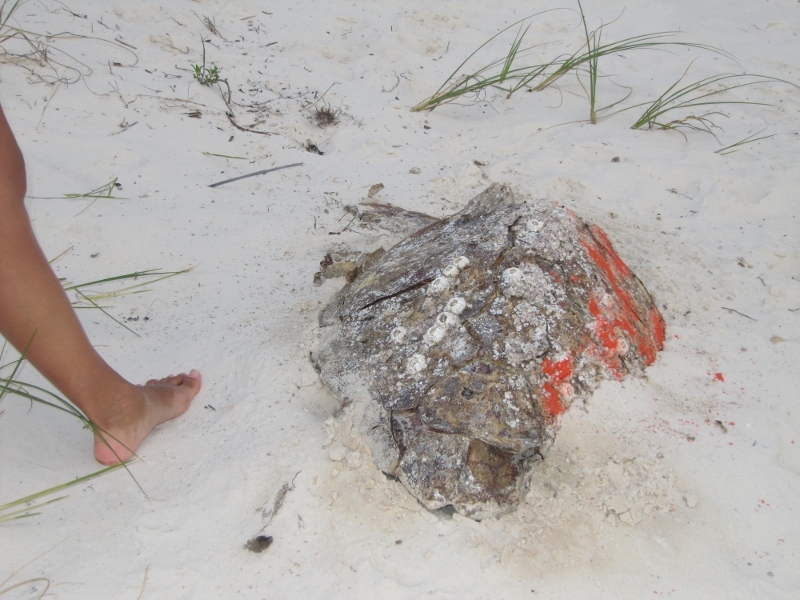 Then we found this huge sea turtle shell. Next up...we find the perfect beach...and Jason makes some facial hair adjustments.